Fifty years after it was built, El Camino Shopping Center unveiled a new look and merchant lineup to the community it calls home in Woodland Hills, CA on November 18, 2017. This included a new-to-market dining hall concept inside a 30,000 SF Bristol Farms. The updated design features Tuscan-style architecture with custom stone, barrel tile roofing, iron trimmed detailing and a natural color palette. Additional enhancements included upgrades to the central courtyard gathering area, updated lighting, new landscaping and decorative pavers. 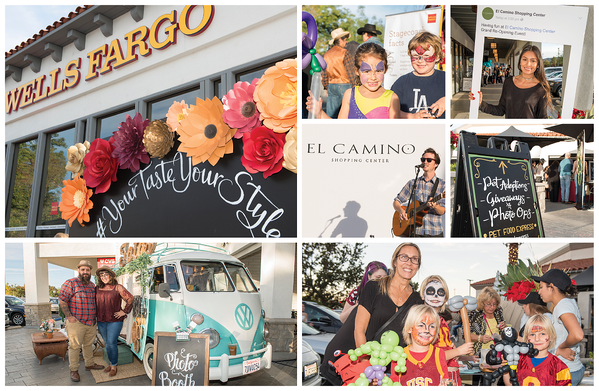 To commemorate the center's transformation and the new retail and food additions, El Camino celebrated with a grand re-opening event. The outdoor celebration included samples from the various food-centric operators, photo opportunities, face painting, and live entertainment from L.A.-based musician John West. During the event, we were proud to make a contribution to the Golden Rule Charity, an organization dedicated to providing care to those in the hospitality industry during times of need. "Since 1968, the shopping center has been a popular destination for its communities," said Patrick Conway, Regency's Vice President and Market Officer. "The grand re-opening is a chance for everyone to see that El Camino Shopping Center has more to offer." 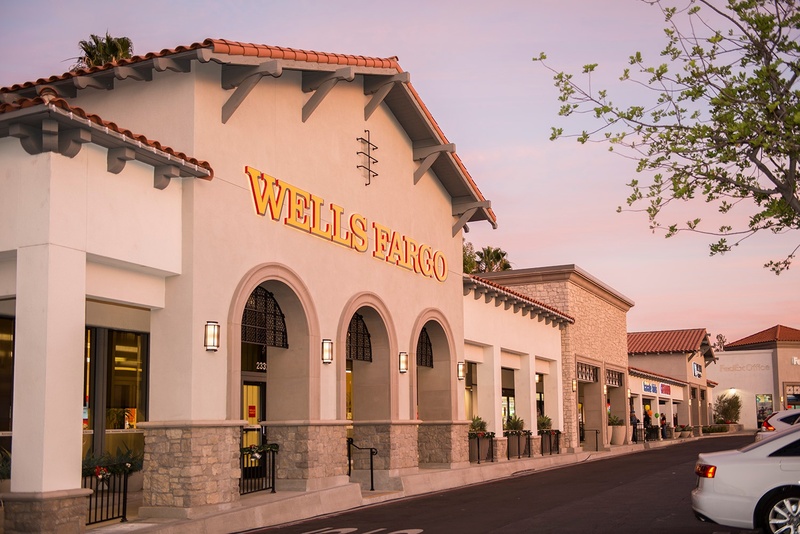 El Camino Shopping Center is anchored by Bristol Farms and CVS, along with more than 40 retail and dining options that include Maria's Italian Kitchen, The Boiling Crab, Regency Salon, Tonino's Place Pizzeria, Lash Beverly Hills, Starbucks, and Blu Jam Cafe. To stay up to date with what's happening at El Camino Shopping Center, follow us on Facebook or on Instagram @elcaminoshoppingcenter. El Camino Shopping Center is located in Woodland Hills at the intersection of Mulholland Drive and Avenue San Luis, just off of the Ventura 101 Freeway. Other properties that we operate in the area are the recently redeveloped Oakbrook Plaza, and Westlake Plaza. To see more, visit our homepage.